I love Sunday! It’s my day to cozy up inside and relax. Usually my Sundays include meal prepping, soup making, cleaning, playing games with Jordan, blogging and catching up on my blog reading, business (writing E-Books, editing photos, talking to clients) and just doing what my heart tells me! I also loving waking up early and pounding out some journal pages and squats! 😉 Oh, and FOOTBALL! I love watching football! I have blogged about our Sunday Football watching before… we have been doing Fantasy Football for about 7 years now, too! It’s so much fun! Oh, and it’s daylight savings time today! I remember hating daylight savings time when Jordan was a baby because of course it messed his schedule up for a good week or so. Now it’s not so bad. I also prepped a batch of Crockpot chili this morning – the house is smelling soooo good right now! Chili is one of my favorite things to make and eat! 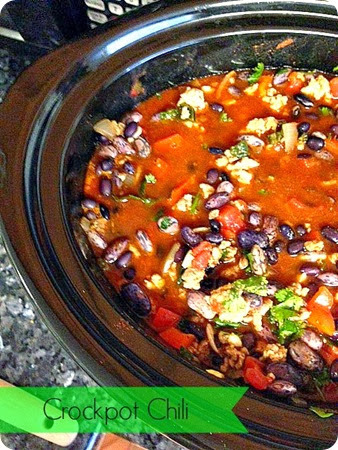 Most of the time I will make a vegan chili but today I am making it with ground turkey. And instead of jalapeño peppers I used a poblano pepper – I think it will taste pretty darn amazing! After I placed everything in the crock pot, I made myself a yogurt bowl! Man, I love yogurt bowls! 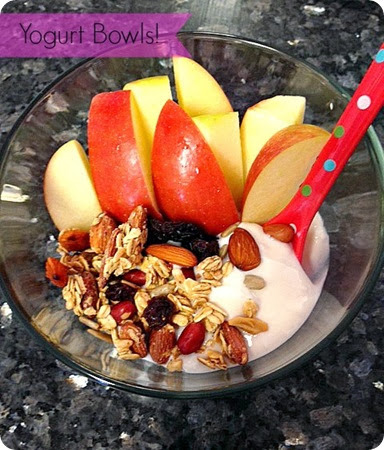 I used coconut yogurt, a sprinkle of trail mix and granola and a cut up organic apple. I haven’t had a yogurt bowl in soooo long… I really missed them! Jordan and I also wrote out his Thank You cards from his Birthday. 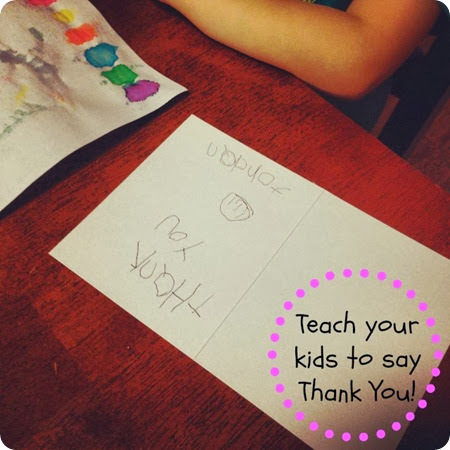 Teaching children to say Thank You is so important! I also love seeing him write his words! Each day I am so amazed by Jordan! 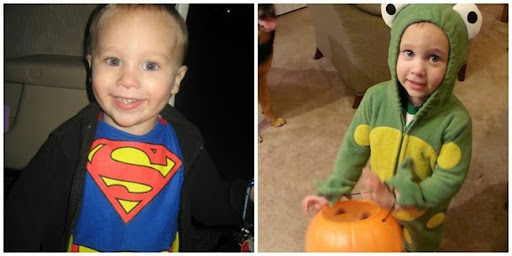 I still can’t believe how fast he is growing! We went out for only an hour and a half and he ended up scoring a lot of treats! Of course when we got home he had to line them up on the couch… did you do this when you were younger? I know I did! 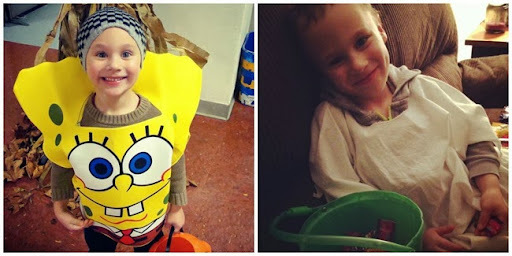 Here is my take on Halloween and candy: I know candy is not good for kids. But it’s one of those childhood memories that I want him to have! 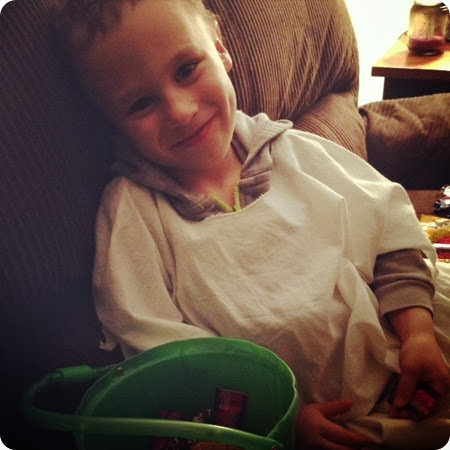 Since he does not eat candy or sweets on a regular basis, he hasn’t really ask me to eat any of his candy. He still has the entire bucket full and he likes to play with it and count it! 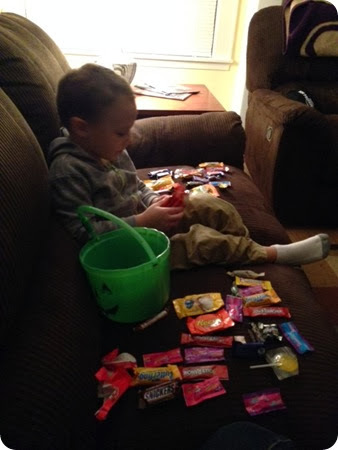 lol I have been throwing away his candy when he isn’t looking. But if he wants one piece here or there I will allow him to have one. We live in an imperfect world! And as long there is moderation and teaching involved, kids should be able to be kids! Here is a look at Jordan from the past 5 years! 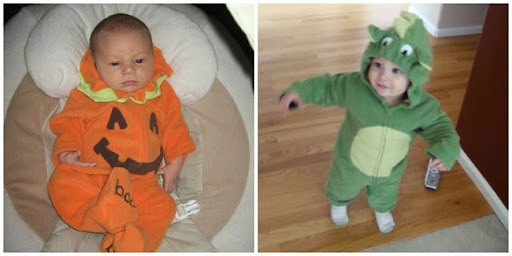 It amazes me how fast he has grown! 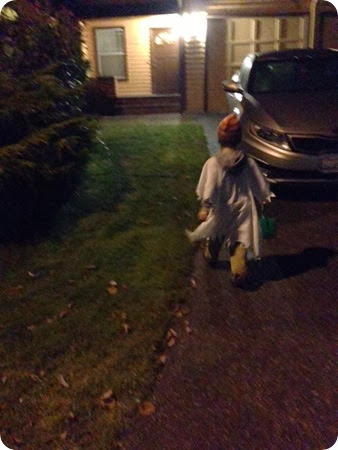 Did you go out Trick or Treating? 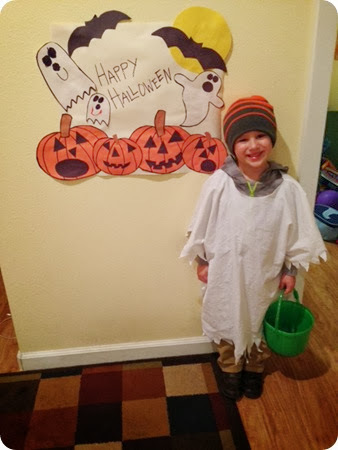 This entry was posted in chili, crock pot, halloween, jordan, life, recipe. Bookmark the permalink.